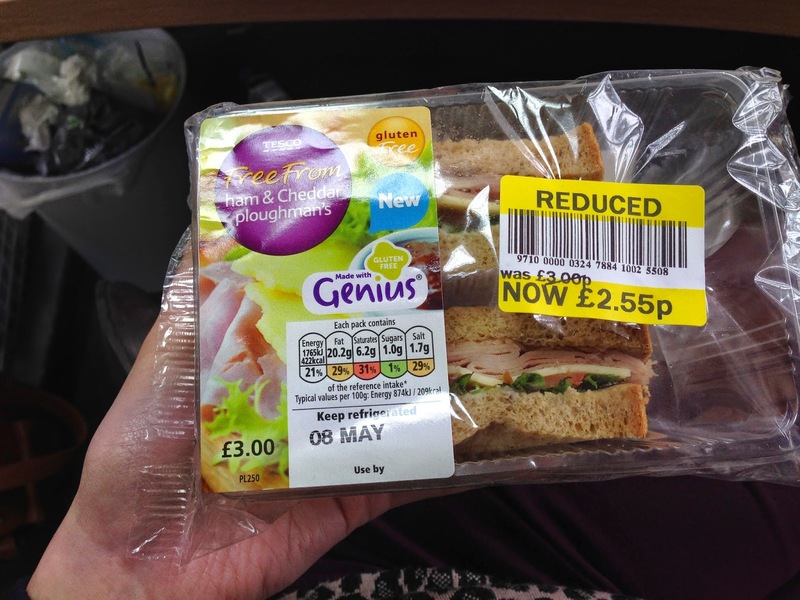 Well words cannot explain how happy I was when I heard that Tesco and Genius were coming together to create a 'plastic sandwich', or as normal people call them pre packed sandwiches! The second I heard the announcement on Facebook I waited till the day I could get my hands on one, but the sell out quickly so I've only just managed to! Sorry for the bad picture, I was at work and noticed Tesco do not have a photo! The one I picked up (the only one left in the shop!) was ham and cheese ploughman's. This sandwich is made from the Genius brown bread (which is my all time favourite bread). It was filled with ham, cheese, mayo, lettuce, tomato, cucumber and an apple and raisin chutney, YUMMY! This sandwich was full of flavour and you honestly cannot tell the difference between this and real thing, this really pleased me as I was concerned that they may not be as full or flavoursome but it was such a pleasant surprise, and the best part is I now know what I can eat when on the go! No other supermarket offer these products. Only available in tescos larger stores so not convenient when you're out and using tesco express. I am so happy we now have a quick option and they taste AMAZING!